Thanks Gator for your theme this week travel. On a House Boat with 24/7 glorious views. 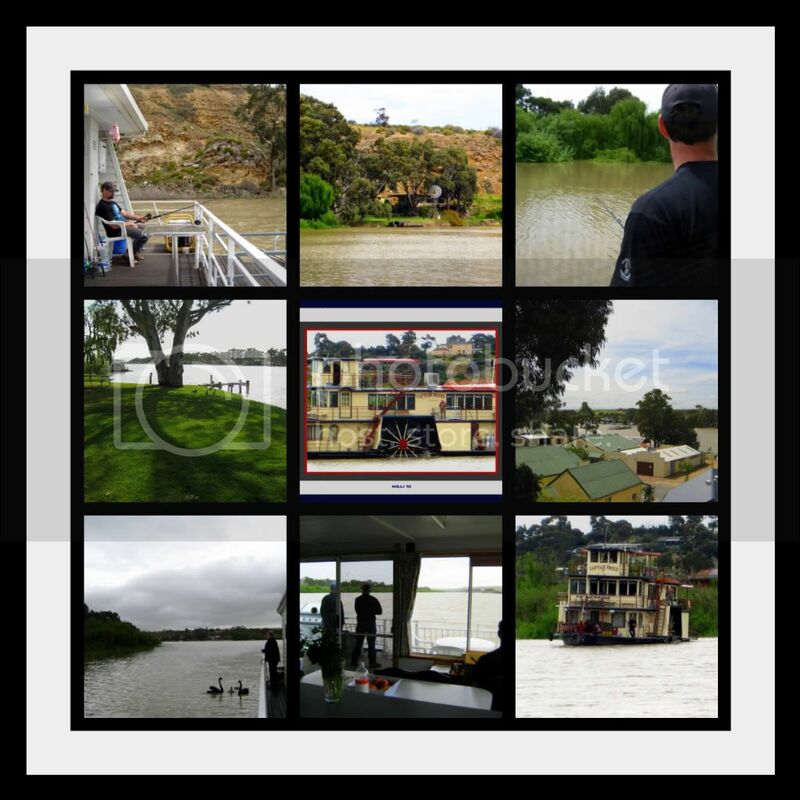 Photos Taken a few weeks ago when a few of us went on a mini vacation up and down the now very high River Murray. Wonderful collection of pics, dear! this would've been soo much fun milli....! Houseboats are so cool! Great shots. Love it! Great collage Milli! It makes me want to travel to that beautiful place! Life on a house boat sounds idyllic! The many faces of travel. Very good compilation. Great shots of the old paddle wheeler! so many great shots! love the ferry boat and the swan shot is fabulous. thanks for visiting my swinging bridge! Oh wow, I bet that was fun! Great views. You remember the houseboat Tom Hanks' character lived on in Sleepless in Seattle? I think it would be so cool to live on the water. And walk on it, too ;). This looks like a wonderfully fun holiday and a great capture ! Wow! There is so much water in it. That would be a fabulous vacation. I would love to do that. Thanks for dropping by mine too Milli. Love all of the photos. Idilic days of pleasure to feed the memory banks. Ahhhhh! What fun! Did the fisherman catch anything? Looks like a wonderful way to travel. Thanks my dear friends for your wonderful comments here...it was one of the most relaxing mini vacations I have had in a long time. really cool shots! I almost did that with a houseboat trip I took last year on our lake in Georgia.